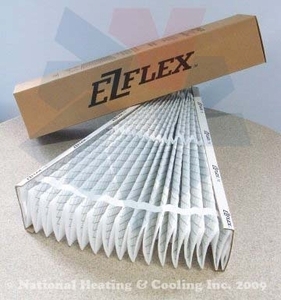 Carrier EZ-FLEX Filter Media EXPXXFIL0316 This filter must be used with end caps to hold the media open in cabinets other than EXXCAB. The EXPXXFIL0316 is not available with end caps. If you are using this filter for the first time you need to order the EXPXXUNV00I6 filter kit. The end caps from the EXPXXUNV00I6 are reusable. You can then use those end caps with the EXPXXFIL0316. * Units requiring end caps.